Four Tory MPs have been accused of defending the “secrecy industry” after vowing to support the Cayman Islands Government’s fight against anti-money laundering measures. Conservative MPs Andrew Rosindell, Martin Vickers, Bob Stewart and Henry Smith criticised the UK government’s plans to introduce more transparency to the islands while on a five-day trip paid for by the Cayman Islands government. The wives of Stewart and Vickers (who are also their employees) were also funded to join the trip and the total cost was over £18,000. 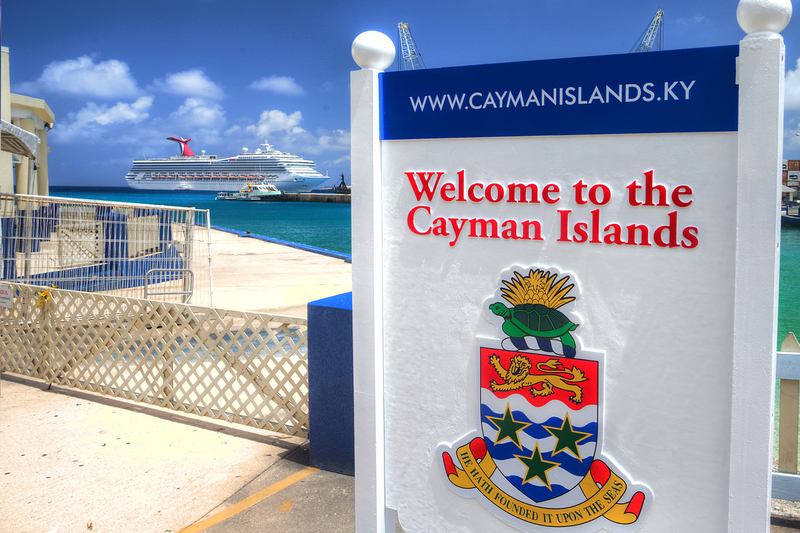 The Cayman Islands has been widely criticised for its financial secrecy. The Tax Justice Network ranks it as the third most important financial secrecy jurisdiction in the world, claiming it offers “low-tax, regulation-light environment for financial players”. The UK’s National Crime Agency has also criticised the Cayman Islands authorities, accusing them of failing to cooperate on money-laundering investigations. The NCA’s director Donald Toon said that they had difficulty getting information on who owns the Cayman Island firms under investigation. As well as being secretive, the Cayman Islands is also considered a ‘tax haven’ because it does not charge corporation tax or capital gains tax. It hosts around 100,000 companies despite having a population of just 60,000 – about the same as Inverness. In June 2018, a report by the European Services Strategy Unit revealed that some of the profits made from the Scottish government’s £8bn private finance infrastructure projects would go to companies registered in tax havens including the Cayman Islands. The report found that Lothian and Strathclyde pension funds had invested £145.6m in the Equitix group of funds, which are ultimately controlled from Guernsey, through a chain of companies in Guernsey, London and the Cayman Islands. The Equitix group of funds also has investments in privately financed public buildings throughout Scotland such as the Aberdeen Health Care Village and the Inverness College Campus. The report’s author, Professor Dexter Whitfield, said: “Offshoring not only deprives Scotland of tax revenue but the secrecy significantly reduces democratic accountability of Scotland’s public infrastructure projects over a 25-30 year period. In May 2018, the UK government was pressured into accepting an amendment to its Sanctions and Anti-Money Laundering Bill which would require British Overseas Territories like the Cayman Islands to implement a public register of company ownership. If properly enforced, a public register would allow the public to find out who owns companies based in the Cayman Islands, making money laundering more difficult. The Cayman Islands government reacted angrily and is taking legal action to try and avoid a public register. The territory’s Premier Alden Mclaughlin is reported to have called the decision to impose a public register “colonial despotism”. According to the Cayman News Service, the four MPs said in the Cayman Islands that they did not support the amendments to the bill and raised concerns about a threat to the autonomy of the UK’s overseas territories. “We go away from this visit much better informed and I think that we will, as a group, want to make a report to government and I would hope that they take our views seriously,” said Martin Vickers. There are 13 British Overseas Territories including Gibraltar, the British Virgin Islands and the Falklands. However, tax havens like Jersey, Guernsey and the Isle of Man are not Overseas Territories but Crown Dependencies and therefore will not have to introduce a public register. The MPs were joined on their trip by Eric Bush, the Cayman Islands government’s representative to the UK and EU. Bush’s predecessor in this role was former Scottish MP and Conservative Chief Whip in Westminster David Maclean, now also known as Lord Blencathra. In 2014, Maclean had to apologise to Parliament because the Bureau of Investigative Journalism revealed that he had signed a £12,000 a month contract listing one of his duties as lobbying the UK parliament. Maclean had previously denied lobbying parliament on behalf of the Cayman Islands and still claims that, despite signing the contract saying he would, he never actually lobbied Parliament. In March 2012, Maclean had organised a similar trip to the August 2018 one. Conservative MPs Andrew Rosindell and Graham Brady and Labour MP for Central Ayrshire Brian Donohoe had spent a week in the Cayman Islands at the islands’ government’s expense. The Conservative Party was criticised on social media last weekend after photographs emerged of a Cayman Islands stall at its party conference in Birmingham. Environmental journalist Rachel Salvidge tweeted a photo of one of the stall’s leaflets which claimed that the Cayman Islands was a “transparent, tax neutral jurisdiction, not a tax haven”. Stalls at the conference cost between £6,600 and £32,500. For that price, the Conservative Party promises that exhibitors can enjoy “ministerial visits from senior members of Cabinet”. All four MPs and Eric Bush did not reply to requests for comment. A source close to the Tetragon Group, which controls the Equitix group of companies said that all the UK-registered companies in the group paid UK tax.